The most important consideration regarding this approach is ensuring your learners are sufficiently familiar with the topic. Testing first is meant to provide a refreshing challenge, not hair-pulling frustration. Remember that there is still content that you intend to present, so if all this would be completely foreign to your audience, then this isn’t the right approach. In our course example, we gave learners the choice up front. We asked them how familiar they were with the topic, and prompted them to either view the lesson content or to begin the assignment straight away. This gave the course the flexibility to handle more seasoned users (which we assumed would be most of the audience) but also gave a path for those less familiar than we planned. We recognized that not everyone knows what they don’t know. So, even once they got into the assignment, we gave them a way back to the lesson. Since the course was full of robust exercises, we didn’t want to force people through if they didn’t know what they were doing. So, we provided an escape hatch in case they got over their head on a certain assignment. This button linked them to the content for the assignment. Learners could review the material and then come back to complete the assignment. For those who wanted to attempt the assignments first, we wanted to give them support options as well. So, within each of the assignments, we provided “Coach Tips” that were optional. These let learners who dove right into the exercises a way to get hints and still get the assignments right. When you present the content first, you can control the knowledge learners should have by the time they get to your assessment. When you let them attack the assessment first, their baseline knowledge is more unpredictable. Therefore, to ensure the best result, you need to provide support options. By using this type of scaffolded approach, learners can get only as much support as they need. While we’re always advocating that your activities should be grounded in the real world, it’s even more important in this approach. The test first strategy gives learners a potential path through the course without getting any content. So, you need to make sure the only way that happens is if they demonstrate mastery over the real-world tasks the course was designed to address. 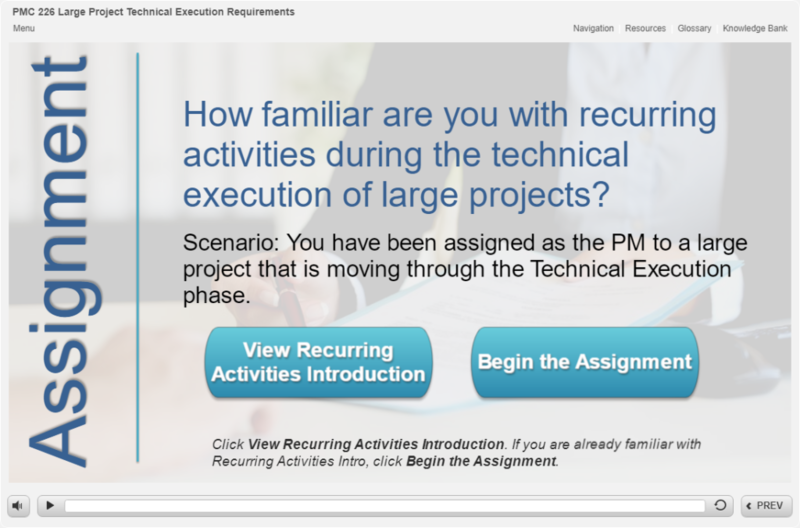 In this example, we provided learners with a realistic budgeting scenario, and asked them to perform tasks in a functioning spreadsheet exercise created using Articulate Storyline 360. They began by reviewing forecast numbers versus actual, and needed to adjust their projections accordingly. 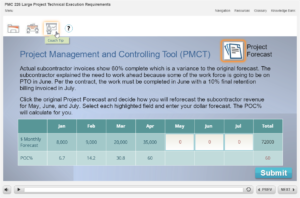 As shown in the video example, information learners type into the spreadsheet update and calculate in real time. This replicates the work they might do back on the job in an actual Excel spreadsheet. Learners could enter, and re-enter numbers trying to get the correct totals. This type of activity is much more valuable than a typical multiple-choice activity due to the realism. Learners based their answers off of projection sheets they see back on the job. Then they enter information into a spreadsheet similar to what they work with on the job. 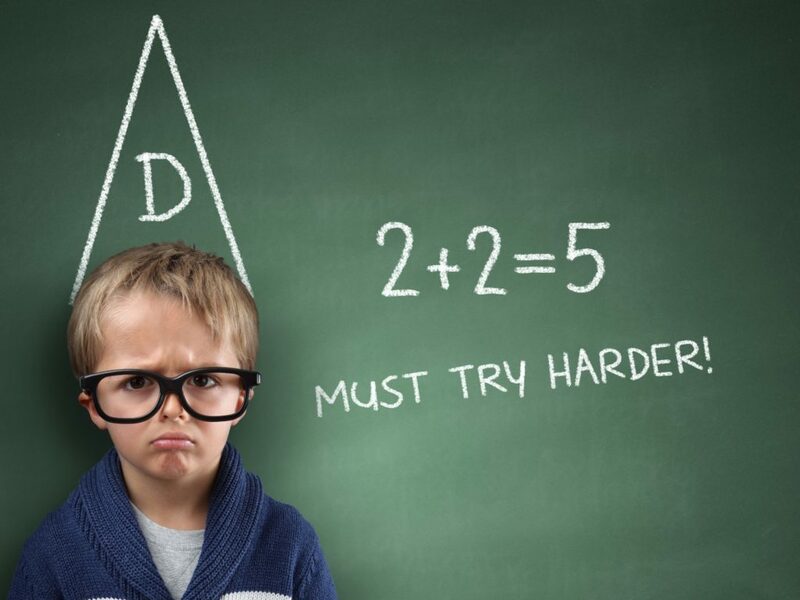 Once they think they’ve figured out the answers, Storyline can check their calculations, and the user is provided with robust feedback, and possibly sent back to review the lesson content. In the spreadsheet example above, if the user doesn’t get the correct answers, we present them with the lesson content as part of the feedback process. This ensures that people can’t “jump to the test” as a shortcut through the course. But, as mentioned, it makes it critical that the assessments test the required skills. If the assignments are too easy, then learners get to skirt the content AND don’t need to demonstrate competency. So if you plan to use this approach, make sure your assessments are challenging, aligned with real-world tasks, and force learners to demonstrate the required skills.